I will soon begin a path to complete a long term goal. 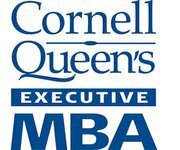 I applied and was accepted into the Cornell-Queen's Executive MBA program. This has been many years in the making. I have wanted to go to business school for a while now and I was always looking for the "right time." I realized that there really is never a "right time." So, I (and my family) took the plunge. I am excited, looking forward to all the challenges ahead and contributing to the MBA program as well as the knowledge that I will be bringing back to my organization. Why Cornell University? Good question. Cornell University was one of my schools that I thought of going as an undergraduate. As a matter of fact, I completed the application for transfer my Junior year, but a condition for transfer was for me to have one year of organic chemistry. (I was a genetics major then...) Now, I didn't have that and I was ready to move on. UC Davis was not requiring that full year of organic chemistry for me to transfer. So, I went to UC Davis to complete my degree. Do I regret going to UC Davis? Not on your life. I loved going to UC Davis. The things I leaned, the friends I made changed and made the life that I have today. I wouldn't want to give that up. But, sometimes history has a way of repeating itself. Cornell came back into my life as an option to attend for graduate school and I did not want to miss this opportunity. A bonus to all this is that I also get to attend classes at Queen's University in Kingston, Ontario, Canada. I don't know exactly to expect. However, I am looking forward to adding a global perspective to my business education.